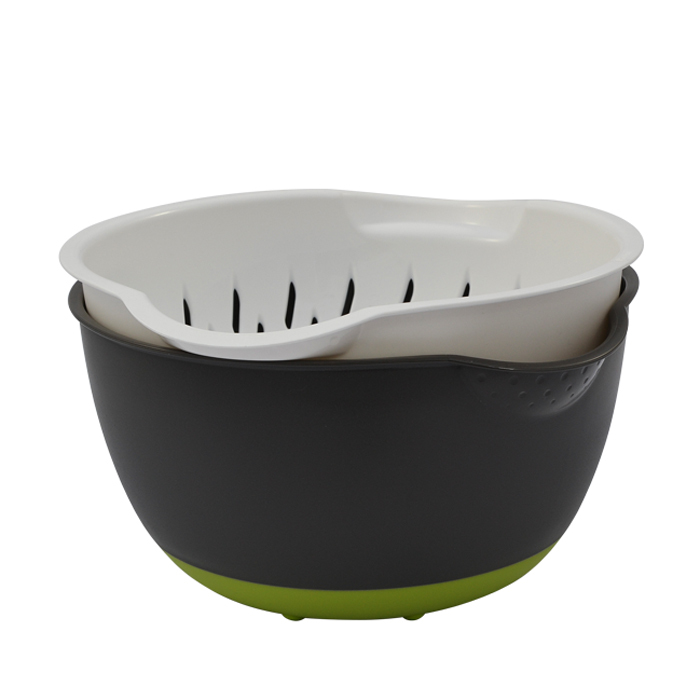 The bowl is constructed in heavy duty plastic and is light enough to be easily carried yet tough enough to mix the heaviest batters while the generous non slip layer ensures secure tiltability. 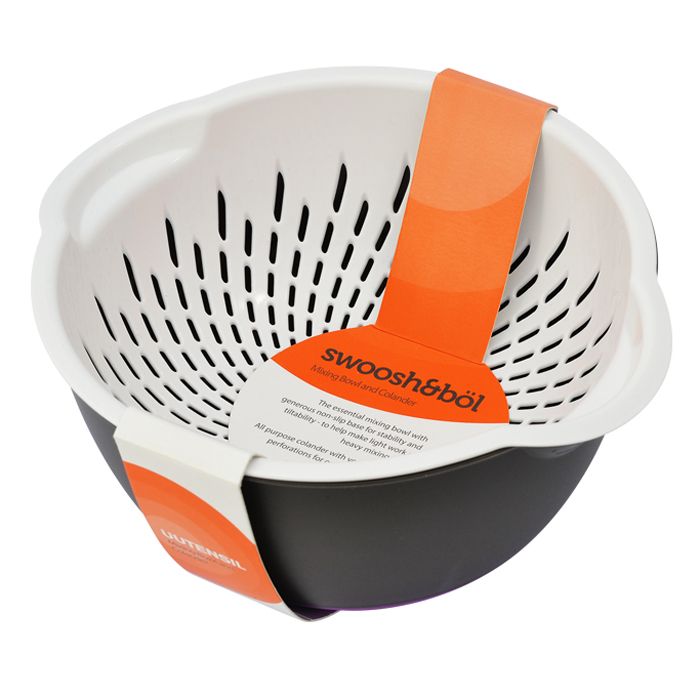 The internal measuring guide also makes following recipes a breeze. But with a clever twist these two kitchen classics work even better together. 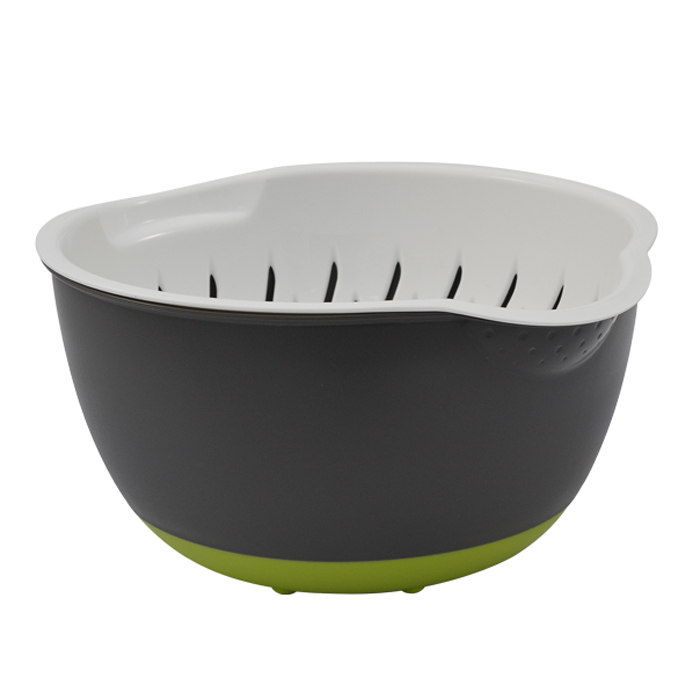 Lift and turn the colander 90° over the bowl to create a large draining reservoir underneath.